Harnett, Cumberland, Johnston, Sampson, Lee, Robeson, Moore, Wake, Bladen, Hoke, Duplin, Wayne, Pender, Columbus, Brunswick, New Hanover, Craven, Carteret and Lenoir County Attorneys with the Experience to Level the Playing Field. Our firm has been representing injured parties and those with legal problems for over 25 years. We know what it takes to build a solid case for court. Armed with dedication, experience, integrity, and compassion we negotiate on your behalf. If negotiations do not yield the results you need, our skilled, board certified legal team is prepared to fight vigorously at trial to protect your rights to compensation or to fair treatment. 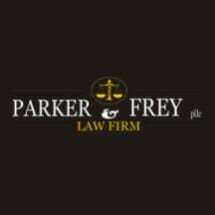 Integrity At Parker and Frey, we pride ourselves on protecting our clients’ rights in all cases. We strive to protect our clients’ rights because we feel that every individual deserves fair treatment under the law. Jerry Parker was given a Preeminent AV rating by Martindale-Hubbell in 2011. Lawyers with a Preeminent rating are deemed to have very high professional ethics and legal ability.